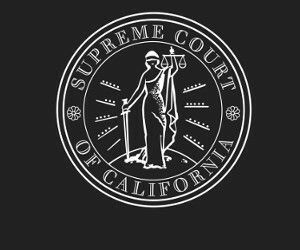 SAN FRANCISCO–The Supreme Court of California today announced the approval of the final rule (rule 1.2.1) of the first comprehensive amendments to the Rules of Professional Conduct of the State Bar of California in twenty-nine years. The court required that the State Bar submit additional revisions to the proposed rule 1.2.1, and on August 24, 2018, the Board of Trustees of the State Bar of California filed a supplemental request for approval of proposed revisions to rule 1.2.1 and with minor revisions to other rules. The court granted the request for rule 1.2.1 Advising or Assisting the Violation of Law and the minor revisions as set forth in their Order and Attachments 1 and 2. The Board of Trustees of the State Bar of California submitted a request on March 30, 2017 for approval of seventy new or amended rules to the California Rules of Professional Conduct. (Bus. & Prof. Code, § 6076.) On May 10, 2018 the court approved forty-two rules as modified by the court, twenty-seven rules as submitted by the State Bar, and denied approval of one rule. The State Bar of California was created by the Legislature in 1927, and serves as the administrative arm of the Supreme Court of California, protecting the public by licensing and regulating attorneys. The new rules become effective November 1, 2018.